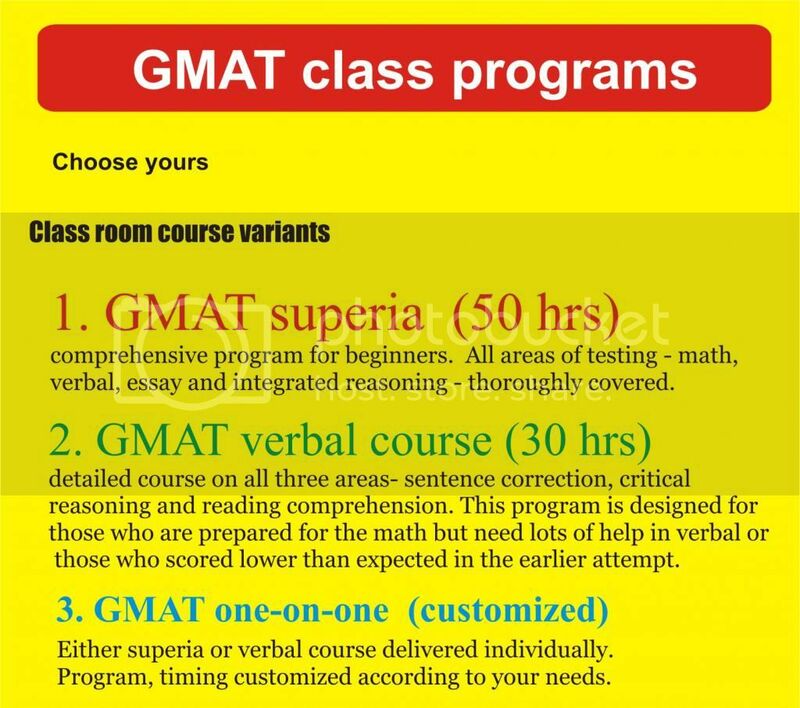 Our GMAT training course in Chennai is a comprehensive program created for beginners. The following areas of testing are covered thoroughly: math, verbal, essay and integrated reasoning. This program is designed for those who are prepared for the Math, but need lots of help in verbal or those who scored lower than expected in earlier attempts. This course covers three following areasl: sentence correction, critical reasoning, and reading comprehension. In one-on-one course you have the option of having either superia or verbal course delivered individually. Program, timing can be customized to your needs. 1. How many numbers are there with exactly two 2s from 1 to 999? How to approach a problem? Break the problem solving processes into steps. Let’s face it. Few college books teach you to think critically. Hence, essential skills of reasoning have to be mastered now for GMAT CR success. This is precisely why our course is designed with an introductory module on basics of logic theory carefully illustrated with arguments as they appear in GMAT. Elements of logic theory comprise inductive and deductive arguments, methods of argument analysis and evaluation, common logical fallacies. GMAT SC tests both correctness and effectiveness of expression. A thorough survey of all rules that constitute standard sentence formation constitutes the first module of superia SC course. An exhaustive list of idioms tested on the GMAT is discussed with illustrative sentences. Clear distinction between awkward vs effective, clear vs ambiguous, wordy vs concise etc in the context of real GMAT questions will give you test confidence. The most common GMAT SC errors- 25 error types- are discussed with multiple illustrations, and practised on hundreds of multiple choice questions. Notes and drills ensure review of rules. A partial list of SC errors. Extensive passage analysis and discussion will empower you to read GMAT passages critically. Follow up reading practice ensures that you practice all types of passages and questions that appear in the exam. The questions you get in the quantitative section of the GMAT, are drawn from arithmetic, algebra, geometry and statistics. We teach you math in 3 stages. GMAT IR tests your ability to analyse, synthesise, compare, contrast, infer from, integrate and judge data presented in multiple formats such as verbal texts, graphs, tables and charts. IR tests both your numerical ability and logical skills. Your math and reasoning skills learnt in the other sections of the test will help you in this section. We teach you how to interpret graphs, sort tabular data, draw conclusions by integrating data from multiple sources, and make decisions. Extensive practise of IR questions will prepare you for the test.